Last week, as I was sitting down to write my regular contribution to ActiveHistory.ca, Sean Kheraj’s brief history of banning laptops in the classroom was published. It really struck a chord. I had been planning to write yet another piece about the commemoration of the First World War and how historians have a unique opportunity to be leaders in a national narrative. But this question about laptops, and their place in the classroom, struck me as a fundamental question for those teaching history in universities. The debate that has developed around this issue is, in my view, not only a proxy for larger questions about what universities are for and the nature of learning, but it also has far broader implications beyond the university classroom. For those of us interested in history and historical practices, discussion over the place of technology in the classroom points to four issues that regularly affect the culture of teaching and learning history. First, the pace of transformation matters. People fear change. They especially fear change that threatens their reputation or livelihood. Second, change is not benign. The social sciences and humanities are under significant pressure today and technology has been a significant factor eroding its influence. Third, especially for those of us teaching history in universities, the ease with which information can be accessed has changed both the skills and behaviour of not only our students but – increasingly – the demands of our profession. Finally, and relatedly, we need to ask whether a wholesale embrace of teaching digital skills should be a task for the university history classroom. There are definitely areas in which we should integrate technology, but are we equipped to teach these skills well? And are the students adequately prepared to receive this teaching? In his piece, Kheraj tells us that he is “regularly astonished by academics who express hesitance, hostility, and ignorance when it comes to computers and the internet.” Though I appreciate the sentiment, I’m not sure that this is fair. Innovations in hardware and software have fundamentally changed every academic discipline and are in the process of transforming how we teach and research (not to mention publish the results). I am a relatively young faculty member who blogs and uses a number of computer applications in my research, yet sometimes I feel out of touch. Only five years into full-time university teaching, I periodically struggle to relate to and communicate with my students. How much worse must it be for older professors? Some must feel that they are becoming irrelevant, others that their very existence is threatened! 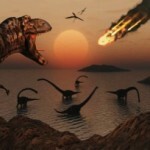 Do you think that the dinosaurs reached up to lovingly embrace the meteor as it was hurtling towards them? I suspect that most probably either hid in fear or went about their business publicly denying that anything was about to happen. Imagine poor T-Rex, the reigning king of the world, privately gnashing his giant teeth and flailing his tiny arms at the cruel destiny blotting out his sun. This change in the purpose of the university points to another challenging aspect of Kheraj’s post. Kheraj questions whether our students are actually “digital natives.” I agree with him that the internet is a powerful tool and that people have wildly over-estimated the current generation of students’ ability to operate that tool. Part of our business should absolutely be to teach them how to use it in their study of the past. As Ian Milligan and others have demonstrated on this site, innovative and easy to use software has fundamentally changed how historians conduct research and analysis. And yet, there is something undeniable about this whole “digital native” thing. The physiology of our brains is changing in response to our constant suckling of sweet, sweet data. We are not just travelling on the information highway; we are ingesting a turgid stream of stimulation like a kid with a slurpee on a hot summer day. But instead of brain freeze we get endorphin highs from every friend and follower. Several studies have discussed the so-called “Google Effect”. Say what you want about Google, but there is increasing evidence that the short-term memory part of the brain is getting a workout while the long-term memory part of the brain is atrophying. It makes sense; why bother memorizing things that you can just verify online in seconds? I imagine that the same debates occurred when calculators came into the classroom and students no longer had to memorize their times tables. Today, kids struggle with higher level math because they do not understand how the numbers interact – they only know what their machine tells them. Similarly, we like to say that in history classes we are teaching understanding, and not just memorization of past events. But how do you discuss the causes or consequences of an event if nobody knows the who, what, when, where or how? How can you interpret the results? How do you question the sources? You can’t just rely on looking this stuff up! As advances in computation and data transfer blur the lines between mind and machine, we may transcend some of the limits on memory and thought imposed by the shortcomings of human cognition. But this shift does not mean that we are in danger of losing our own identity. We are simply merging the self with something greater, forming a transactive partnership not just with other humans but with an information source more powerful than any the world has ever seen. 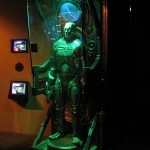 But isn’t this also a little Borg-like? 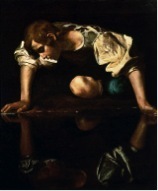 Does increased intellect, strength and focus come at the cost of our individuality? Perhaps resistance IS futile… At its most basic, the existential question is this: if part of my thinking is done by the internet, than do I only partially exist? Our brains use information stored in the long-term memory to facilitate critical thinking. We need these unique memories to understand and interact with the world around us. If we rely on Google to store our knowledge, we may be losing an important part of our identity. We say all the time that history is about critical thinking – and our use of the internet is seemingly diminishing that skill! This is an issue that we need to openly discuss. Are there costs to a wholesale adoption of technology in the classroom? What do these changes mean for the new generation of historians? Admittedly, I doubt that most professors refusing to “rethink the use of computing technology in the classroom” share my lurid imagination. But we should recognize that for most of us, the digital native is OTHER. In much the same way as we approach the historical subjects in our research, we need to understand the context from which our students come. Is it significant that this generation never experienced the Cold War? That they were toddlers when the Twin Towers fell? That they could never go outside without sunscreen? Or that, for the most part, twenty-four hours a day they have had access to tiny pocket computers more powerful than anything we could have imagined even a decade ago? Every generation is different, and no doubt older, established faculty have always struggled to relate to new students and new technologies. But being born and raised with the internet seems like a major hurdle. I admire Kheraj’s desire to harness technology in a better way, especially “when we see students use such powerful technologies as nothing more than tools of distraction and frivolity.” I have certainly tried, and will continue to try, to do this in my own classroom. I could enumerate all manner of activities, such as online discussions, research exercises, quizzes, documents, and films that I have used to incorporate digital skills into my teaching. A few certainly benefit. But most put forth the least effort possible and return as quickly as they are able to texting, gaming and, in general, refusing to engage with me or each other because they are too busy polishing the shiny mirror that reflects their putrefying narcissism back to them. Was that a little over the top? For the record, it is not just young adults who have fallen under that spell. Furthermore, Kheraj emphasizes that “Banning laptops may seem like the simple answer, but it does not absolve educators and administrators from the difficult challenge of changing our teaching approach in the context of a changing world.” But for those of us teaching in the history classroom, we not only need to engage future contexts, we must also grapple with past and present realities. Does a focus solely on technology in the classroom distract us from a broader discussion of history-specific pedagogy and curriculum? Was there not merit to the way things were done in the past? As we focus on teaching historical thinking and critical thinking, is there benefit to making our classrooms spaces that remain distinct from the influences of technology and popular culture? Similarly, have our examinations of the past not demonstrated to us the difficulties inherent in trying to predict the future needs of society? Who among us can claim to know what the world will look like in twenty or even five years? Given the extreme rate of change and the high uncertainty of our times, should we not be careful in how quickly we adopt new methods and tools? For the history classroom, should we not focus on core skills like critical thinking, research, and communication that will remain relevant no matter how technologies, job markets, CO2 levels or geopolitical situations change? Active teaching in the humanities is about interaction and student-centred learning, not access to information. History remains a discipline of storytelling, of constructing narratives that draw us in and make us care. This craft of history can ultimately only be performed by trained people, not software. I have expressed elsewhere my concerns that we are losing basic individual and community self-reliance. The internet is used above all for entertainment in our society. We shouldn’t mistake entertainment for engagement. My thesis supervisor once told me not to be so critical of past scholarship because if they had done everything that I thought was important, I would not have anything to write about. Some professors will fully embrace digital technologies. Some will fight it tooth and nail. Some, like me, will choose a middle path. My Hegelian dialectics might be outdated, but balance remains fundamental to any institutional success. Students will learn best by being exposed to multiple teaching methods. Indeed, this whole issue of acceptance of change might be a good discussion for the history classroom itself. Just because something is old, does not mean it must be thrown away. Historians, of all academics, should be most sensitive to the fact that the dinosaurs have much to teach us. 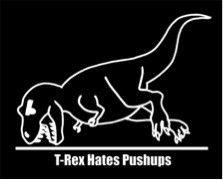 We should stop trying to make the T-Rex do push-ups. He looks ridiculous and no amount of training will make him good at it. Instead we need to let the dinosaurs do what they are good at, contributing to the vibrant tapestry of exchange, introspection and invention that should be the university classroom. This is a very thoughtful and useful response to an issue History teachers must grapple with in my areas- especially secondary classrooms. A beautifully written and important response. Thanks for this. Dear Sue and Ed, thanks for taking the time to post your comments. Very much appreciated!